1 Los Angeles District LOM Groups? Sylvia Castillo... is a Los Angeles activist. Los Angeles District LOM Groups? 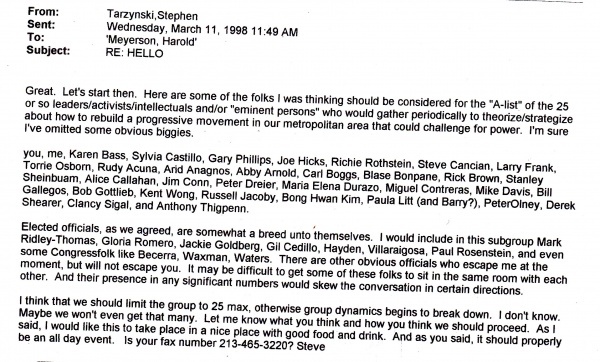 In a circa 1980 report "Consolidated rectification forces", in the Los Angeles area were named as Bruce Embrey, Joe Hicks, Michael Downing, Francoise Spaulding, Virgie Sanchez, William Bollinger, Dan Lund, Laurie Mayeno, Mike Silverberg, Ceci Kahn, Jaime Geaga, Cyrus Keller, Marilyn Taylor. All participants in DG#! except Sarah Shuldiner, Max Shuldiner, Nancy Parsons, Ken Cloke. "Forces working directly under the guidance of the rectification line/unity with line" Joan Andersson, Sylvia Castillo, Danny Estrada. The Liberty Hill Foundation Los Angeles Community Funding Board in 1989 consisted of Members of Liberty Hill's Community Funding Board in 1989, Barbara Metzenbaum, Sharon Delugach, Sylvia Castillo, Fred Mautner, Victor Griego, .Karen Bass, Paula Crisostomo, Enrique Delacruz, Larry Frank, Khader Hamide, Sarah Jacobus, Barbara Becker, Mirta Ocana, Torie Osborn, Sherry Winters, Evelyn Yoshimura and Lori Zimmerman. In 2009 Sylvia Castillo was listed as a member of the Board of Directors of the Community Coalition. 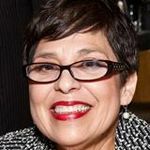 Sylvia Castillo, Program Director of the Praxis Project, was for the last 20 years District Director to the Congress member Karen Bass and former California Assembly Speaker and by being a founding leader of the Community Coalition, a community institution that involves thousands of grassroots activists to create, influence and change public policy. With Caitlin Dunklee, Genoveva Islas, Shelley Means and Vicki Alexander at Hilton Oakland Airport Hotel. With Aishah Abdala, Sylvia Castillo, Ajamu Baraka and Tere Almaguer at Hilton Oakland Airport Hotel. I esp liked Vickie Alexander & Cathi Tactaquin 's reflections on their movement work. Cathy, reflecting on her 45+ years, incl from '73-87 with KDP (Union of Democratic Filipinos) to her urgent life/death work with global migrants and refugees through the NNIRR, urged us to strive to: 1) serve the people; 2) practice a 'mass line' (from the masses, to the masses); and 3) support mass-based grassroots organizing groups because of the inherent political limitations of 501c3 non-profit groups. — with Catherine Tactaquin, Le Tim Ly and Vicki Alexander at Hilton Oakland Airport Hotel. This page was last modified on 10 August 2018, at 00:26.